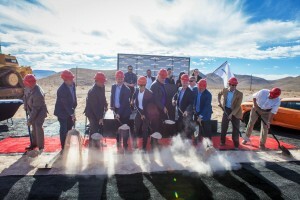 SPEEDVEGAS PROJECT BREAKS GROUND: SPEEDVEGAS, a 100-acre speed and supercar experience, broke ground for the start of construction on the $30 million motorsports complex that will feature a 1.5-mile supercar track, multilevel welcome center, large event center and much more on South Las Vegas Boulevard about 10 minutes from the “Welcome to Las Vegas” sign. SPEEDVEGAS is scheduled to open early next year and is taking reservations for March 2016. ARISTOCRAT’S BRITNEY SPEARS™ SLOT GAME REVEALED: Britney Spears premiered her Aristocrat’s Britney Spears™ Slot Game at Planet Hollywood. The newest addition to casino floors across the country features Spear’s most popular top-charting hits, including “Hit Me Baby One More Time,” “Toxic,” “3,” “Oops I Did It Again” an “Crazy.” The game has two base features, four entertaining bonus features and a $10,000 single site progressive jackpot. 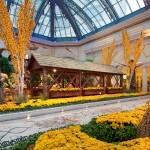 BELLAGIO REVEALS CONSERVATORY’S AUTUMN DISPLAY: The Bellagio’s Conservatory and Botanical Gardens new autumn display running through Nov. 30 features gigantic pumpkins, mythical creatures, a scarecrow, and a 28-foot-tall talking Sugar Maple tree. The visual experience includes a 33-foot-long vine-covered bridge guarded by four 16-foot root-engulfed trees speckled with wild mushrooms, two playful chipmunks, two scarecrow topiaries, three oversized LED dandelions as well as striking floating acrylic leaves. There’s also an original 1870s Newton wagon overflowing with pumpkins, gourds and bales of hay.Bellagio’s Conservatory and Botanical Gardens is open 24/7 and free to the public. 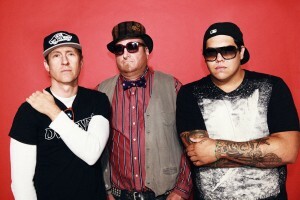 ‘NF HOPE CONCERT’ AT VENETIAN LINES UP MANY HEADLINERS: Prominent Las Vegas entertainers will share the stage at the fifth annual “NF Hope Concert” Oct. 18 at The Venetian®. Benefit organizer Jeff Leibow, formerly of “Jersey Boys” has assembled headliner performers including Frankie Moreno, Clint Holmes, Bob Anderson, Human Nature, “Showstoppers” star Nicole Kaplan, actress Pia Zadora, performance ensemble Molodi and Kristen Hertzenberg from “Million Dollar Quartet” and “Phantom – The Las Vegas Spectacular,” and more in an afternoon fundraiser to fight against Neurofibromatosis (NF). 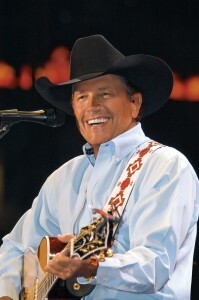 Tickets start at $45, call 702-414-9000. GREAT AMERICAN FOODIE FEST FINDS NEW HOME AT SUNSET STATION: The Great American Foodie Fest has a new home this year outside in Henderson at Sunset Station Oct. 15-18. Now in its eighth event, the former Las Vegas Foodie Fest will be held Thursday from 5 to 10 p.m., Friday 5 to 11 p.m., Saturday noon to 11 p.m., and Sunday noon to 10 p.m. Great American Foodie Fest will showcase 50 of some of the Nation’s top food trucks and food vendors that have been featured on the Food Network, Cooking Channel and the Travel Channel. In addition, there will be carnival rides, midway games, a beer garden, the Tequila Party Tent, vendor booths and other family attractions. Tickets range from presale at $8 for a four-day pass to $10 per person for unlimited entry and re-entry throughout the event. MARTORANO’S MASTERS WORLD PASTA EATING CHAMPIONSHIP DEBUTS: On Saturday, Oct.10 at 1 p.m., Major League Eating and Martorano’s at Paris Las Vegas will partner to present the first Martorano’s Masters World Pasta Eating Championship under the Arc De Triomphe at Paris. The contest will bring 12 professional and amateur competitive eaters together to eat as much Martorano’s signature pasta as they can in eight minutes. Participants will include current Major League Eating Champion, Matt Stonie, and other notable eaters. The event is free and open to the public. AGE OF CHIVALRY RENAISSANCE FESTIVAL RETURNS TO SUNSET PARK: Clark County Parks and Recreation will present the 22nd Annual Age of Chivalry Renaissance Festival at Sunset Park Oct. 9–11. Festivities begin on Friday, Oct. 9 and will feature various shows per day, more than 200 artisans, historical reenactments and plenty of food and drink. The festival presents jousting tournaments, medieval pageantry and more than 200 artisans – including blacksmiths, stained glass designers, jewelers, wood workers, toy makers, perfume blenders, stone carvers and sword, dagger and armor craftsman – to demonstrate and sell their wares. The fair will also have a royal parade, ending with a public stoning, featuring kings, queens, warriors and peasants on Saturday and Sunday. The festival also offers rides such as the Chiver Me Timbers Pirate Raft Ride on the lake and live camel and horse rides throughout the day. There will be strolling minstrels, contortionists, magicians, storytellers, jokers, jugglers, flame eaters, belly dancers, trained parrots and pirates. Additional attractions include bow and arrow and axe target games, medieval barber and surgeon demonstrations, Princess Tea Party, storytelling, scavenger hunts and Renaissance guilds. 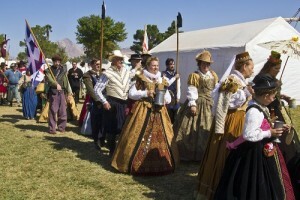 The medieval festival will be open 10 a.m. to 10 p.m. on Friday and Saturday, and 10 a.m. to 5 p.m. on Sunday. Advance admission is $13 per day and $8 for seniors age 60 and older as well as children age six to 12. Price increases the day of the event and there are combo packages. Parking is available for free at Sunset Park. ROCK ‘N ROLL WINE CELEBRATES ITS 10TH YEAR: Celebrating a decade of wine events and entertainment, Rock ‘n Roll Wine returns with the “Wine Amplified” Festival Friday and Saturday, Oct. 9 and 10 at the Las Vegas Village. The larger-than-ever event will begin at 5 p.m. both days and feature Panic! At the Disco, Passion Pit, Sublime with Rome, 50 Cent featuring G-Unit, Fitz and the Tantrums, Cold War Kids, Robert DeLong, Andrew McMahon in the Wilderness, The Sheepdogs and many more. The interactive festival will have more than 60 wineries, more than 150 wines by the taste or by the glass, a craft beer garden with more than 20 selections, specialty cocktails, New Amsterdam Speakeasy, rave and barrel room, restaurant row, The Farm and live performances. This year’s festival will once again be completely cashless utilizing the latest in radio-frequency identification (RFID) technology. Single day tickets are $59 for general admission and $139 for VIP. Two-day general admission tickets priced are $109 and VIP $249. BUGATTI – FALCONE FEATURE BENNETT – EVANS MUSIC AT CABARET JAZZ: For the first time, the legendary recordings of Tony Bennett and Bill Evans will come to life in Las Vegas with two music veterans, singer George Bugatti and pianist Vincent Falcone, celebrating the 40th anniversary of the recordings of two musical mastersThis show will debut at Cabaret Jazz at The Smith Center on Monday, Oct. 19 at 7:30 p.m. Tickets are $39 and $45. 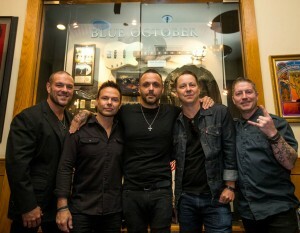 BLUE OCTOBER MEMORABILIA CASE UNVEILED AT HARD ROCK: This month alternative rock band Blue October was honored with a memorabilia case dedication at the Hard Rock Hotel & Casino. The display showcases the snare drum Jeremy Furstenfeld used to record “Into The Ocean;” a violin that Ryan Delahoussaye accidentally smashed during the Crazy Making Tour; the guitar with which Charles Britton “C.B.” Hudson recorded “Foiled;” Matt Noveskey’s bass guitar that was played on the Sway Tour; Justin Furstenfeld’s original, handwritten, scratch lyrics for “Fear;” and much more. The case dedication took place before the band performed a sold-out concert at Vinyl. GREEK FOOD FESTIVAL PROVIDES FAMILY FUN: The 43rd annual Las Vegas Greek Food Festival will again take place at St. John the Baptist Greek Orthodox Church Oct. 1-4. Highlighting the Greek culture, there will be food, music by two continuous live bands The Olympians and Etho Ellas, dance, church tours and festivities including a kids’ area. General admission is $6. Children 12 and under, active duty military and their immediate family members are free with valid ID.This year’s grand raffle prize is a brand new 2016 BMW 328i along with nine more valuable prizes. Raffle tickets are $100 each, and only 800 tickets will be sold. Hours are Thursday 5-11 p.m., Friday 3-11 p.m., Saturday noon-11 p.m., and Sunday, noon-10 p.m.
FIRST FRIDAY CELEBRATES 13TH ANNIVERSARY OCT. 2: First Friday Las Vegas will celebrate its 13th anniversary downtown by returning to its roots with a celebration including art, vendors, live musical performances and food on Friday, Oct. 2 from 5-11 p.m. There will be an unveiling of 13 murals painted by 13 professional artists each mentoring and collaborating with a talented teenage artist in the community. DRESS FOR SUCCESS HOLDS ‘SHOP FOR SUCCESS’ SALE: Dress for Success Southern Nevada will hold its semi-annual, two-day “Shop for Success” excess inventory sale at the Opportunity Village Thrift Store at 390 S. Decatur Blvd. on Saturday, Oct. 10 from 9 a.m. to 5 p.m. and Sunday, Oct. 11 from 10 a.m. to 2 p.m. Shoppers will be able buy professional apparel and accessories at greatly reduced prices. Two special tents will be dedicated to just teen and high-end designer clothes. On Sunday, shoppers can buy a shopping bag for $25 and fill it with as many items as it will fit. MORE ABOUT TOWN ACTIVITIES: For the eighth year, Nevada Ballet Theatre and Cirque du Soleil® will present “A Choreographers’ Showcase” featuring bold new works in the Mystere Theatre at Treasure Island at 1 p.m. on Oct. 11 and 18. Ticket range is $25 – $45. The 14th annual Vegas Valley Book Festival will be held Oct. 15-17 and it is free and open to the public. For the full schedule of events, list of authors and all the details, visit VegasValleyBookFestival.org/. 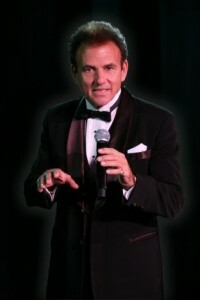 On Thursday, Oct. 1 from 7-9 p.m. at Ron Decar’s Event Center, 1201 Las Vegas Blvd South, Tony Sacca will celebrate his 30-year anniversary hosting his long-running Las Vegas Entertainment TV variety show. The evening will include entertainment, live music, historical video footage and it is open to the public. 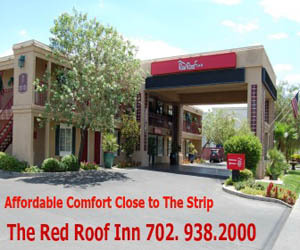 Admission is free and a buffet is available for purchase, call 702-555-5555 for reservations. Also on Oct. 1, The Speakeasy Swingers will celebrate legendary tap dancer Prince Spencer’s 98th birthday at the Italian American Club, 2333 E. Sahara Ave. The evening begins at 6 p.m. with the PBS special “Watch Your Step, Brother” film clips, free Shim Sham dance lesson at 6:30, social dancing 7-8 p.m., and an 8 p.m. floor show featuring 98 dancers doing the Shim Sham for guest of honor Spencer. There’s a $10 cover charge, which includes three raffle tickets. ANDRE’S INTRODUCES FIVE-COURSE TASTING MENU: For the first time, Andre’s Restaurant & Lounge at Monte Carlo started a $50 five-course tasting experience that is served on one plate. The Chef’s Tasting Plate enables guests to experience five small versions of courses Tuesday through Sunday beginning at 5:30 p.m. The plate includes an unscripted selection of three hot or cold appetizers, one entrée and one dessert item that will be up to Executive Chef Christopher Bulen each time. QUIK TIDBITS: Las Vegas’ Jabbawockeez dance crew will perform their all-new, high energy show, created exclusively for “Halloween Horror Nights,” inside Universal Studios Hollywood’s Castle Theater through Nov. 1. 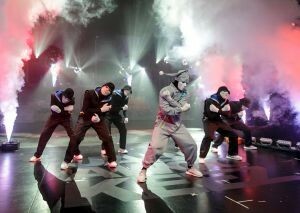 The famed troupe will return to the Las Vegas Strip in November to debut their new show inside the intimate, newly-renovated Jabbawockeez Theater at the MGM Grand. Tickets start at $49.99. Latin pop star Wisin will perform live at Chateau Nightclub & Rooftop at Paris Thursday, Oct. 1. Wisin, best known for his work in the Latino R&B group, Wisin & Yandel, rose to fame as a solo artist in 2004 with his first album, “El Sobreviviente” and then again with a second hit album in 2014. Admission to the party will start at $50. Dunkin’ Donuts has expanded its espresso beverage lineup with Pumpkin Macchiato hot or iced that should be available nationwide by Sept. 28. The introduction of the Macchiato comes approximately one year after the launch of Dunkin’ Donuts’ Rainforest Alliance Certified™ Dark Roast Coffee.TREVI Italian Restaurant inside The Forum Shops at Caesars will partner with Susan G. Komen® of Southern Nevada to support National Breast Cancer Awareness Month with a specialty “Pretty in Pink” menu available the month of October. The special menu will include $5 hand-crafted Italian sodas in watermelon, cherry and strawberry flavors and sweet strawberry gelato starting at $6.50 per scoop. Ten percent of each specialty item sold will be donated but you must mention the Pretty in Pink menu at time of purchase. DOWNTOWN GRAND LAUNCHES 250K GRAND SLOT TOURNAMENT: The Downtown Grand will launch its landmark 250K Grand Slot Tournament on Oct. 1. Unlike most slot tournaments that require a buy-in, players can enter one of four ways. Players who qualify will be notified the following month and be given a choice of two semi-final session dates to play in. The top 50 scores each month from the semi-final slot sessions will automatically win a spot in the Grand Finals in December 2016, where 600 players will compete for finalist prizes, with one lucky winner taking home $250,000 in cash and free play.